There are great community efforts underway for IoT - security is a now high profile. 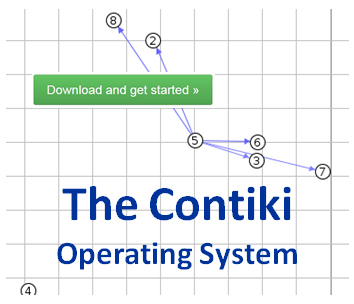 Contiki OS an operating system that has been designed specifically in mind for the Internet of Things and with low power networking at its core has just recently announced support for built-in encryption - something that developers have typically had to implement on their own. Contiki is an interesting platform as it has a very active community and is designed specifically around providing a consistent platform across multiple hardware platforms utilizing low power Internet communications - supporting IPv4 and IPv6 with recent wireless standards such as 6LoWPAN, RPL and CoaP. There even is a version available to support the Arduino development environment. Overall, there is a great change in focus to address the growing concerns of security within the IoT and to see community efforts like this and others that have been recently announced it is a step in the right direction. Only a few months ago, HP reported that up to 70% of IoT devices available to consumers were compromisable.